In recent months, Linda Ainouche went several times to San Andres to meet the islanders to capture the oppressive and harsh slices of life, full of pangs and emotions, their voice, their vision, and their struggle for existence. Award-winning LINDA AINOUCHE, Ph.D, was first an Ethnographer Researcher and Cultural Analyst, specialized in ethnic minorities, misunderstood communities, human rights, social issues, and religion before becoming a Documentary Film Director and Producer. She likes to understand the cross-cultural impacts that can emerge between outcast people and advocate human rights all over the world. Born in a multicultural family, she has been traveling from an early age and has since lived in several countries. Permanently among different cultures, she juggles with lifestyles, languages, customs, and environment like she naturally breathes in. 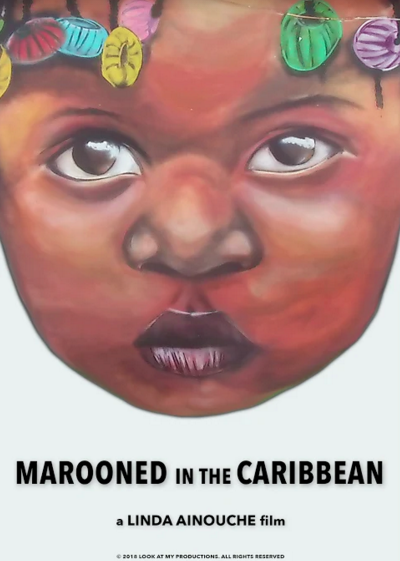 Aïnouche’s Human rights and Caribbean expertise give her works a unique style that addresses the pledge of cultural destruction and covers persecution and unawareness of the Raizal community. Her wide range of fieldwork allows her to work with local people and see a hidden perspective rarely touched on. This gives Marooned in the Caribbean project a richer and more personal spin on a history from the insider’s point of view.